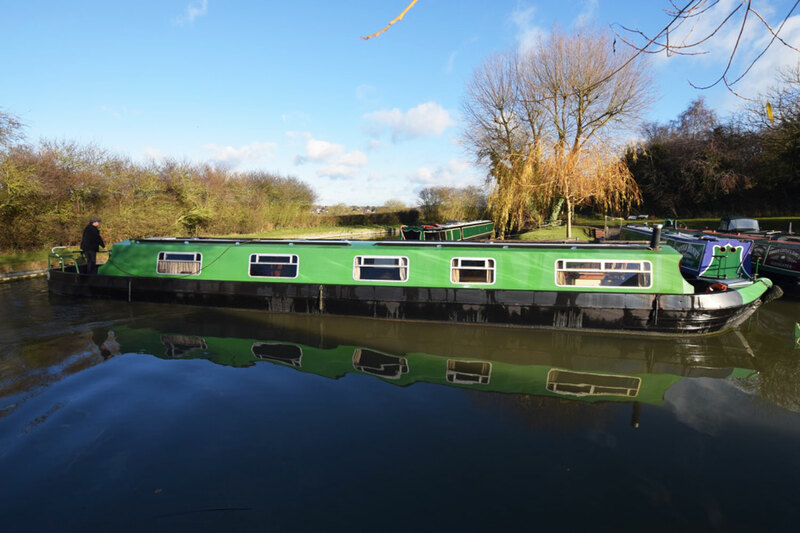 Lucille – 60ft Cruiser stern narrowboat 1986 would make an ideal starter boat for someone. Unusually for that era she has a 10mm baseplate. A cruiser stern style 60’ narrowboat, with a robust air cooled Lister SR3 engine which provides plenty of power for river cruising as well as the canals, she was built in 1986, believed to be by David Piper although the previous owner to current states it is a Colecraft. She was fitted out by Rugby Boatbuilders. The interior fit out is typical of that era with Parana pine tongue & groove to galley and bedroom with the large front cabin having been modernised recently. The large rear deck is a very good size, with two gas storage lockers which double as seating along with a couple of perches on the taff rail. From here you enter the nearly 11ft galley area. A storage cupboard with services is before the red tiled galley top- opposite a 2 seat dinette which converts to a single berth. Opposite the drop in cooker is a decent sized wardrobe. The bathroom is next with a wet room style shower, pump-out toilet and sink unit. There is also a porta-potti in this room. The bedroom follows; a good sized room at over 10’ with a ‘four-poster’ style fixed double measuring in at 6’3” x 4’. There is plenty of storage under. The 4ft wide wardrobe is at the foot of the bed along with a set of drawers. The bedroom is heated by a radiator from the Morso back boiler. The open and airy 16’ plus front cabin feels modern with a musical style, and has a free standing 2 person sofa, ottoman with storage underneath and a folding chair. A Morso multi fuel stove heats not only this room, but also the galley and bedroom via its back-boiler. There is plenty of storage in here with a large multi drawer chest and a wall cabinet with LED blue lighting under. There are some clever shelves built into the lower walls and a large shaped single shelf which fits into the layout well. There is also a small shelf unit in the opposite front corner. Lucille – 60ft Cruiser stern narrowboat 1986 is a cracking boat for the money – some attention would be needed to the well deck and engine bay but she would make an ideal liveaboard boat or Summer cruiser.